AUSTIN, Texas, April 2, 2019 — (PRNewswire) — ResilientGrid, Inc. announced today that the North American Electric Reliability Corporation (NERC) has selected the ResilientGrid OS software platform for implementation of Version 3 of the software tool for NERC's Situational Awareness for FERC, NERC and the Regional Entities (SAFNR v3) initiative, which will cover the North American bulk power system. ResilientGrid's software and training solutions have been specifically designed by a world-class team, with expertise in human factors science and critical infrastructure operations. This human-centered approach positions operators for success across normal operations and extreme occurrences, so that they can keep critical bulk power system infrastructure effectively operating. CEO and founder Michael Legatt noted, "The most important components on the grid are the human beings in control rooms and in the field. ResilientGrid OS is designed to set these people for success." 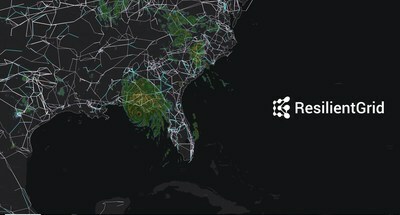 ResilientGrid builds its human performance-centered software to be continuously improving so that it "grows to continue to meet the needs of the bulk power system operators, as they face an increasingly cyber-connected and fast-moving world of grid operations." ResilientGrid develops software solutions and services that put the operator at the center of electric grid operations—increasing performance both day-to-day & during emergencies. The company's software platform, ResilientGrid OS, provides operators with an integrated common operational picture for all components on the grid, and facilitates information sharing about system events for management, training, and compliance reporting. The company is dedicated to providing grid operators and managers with the best tools available, grounded in human factors science, to create environments and systems that enable the highest possibility of success.